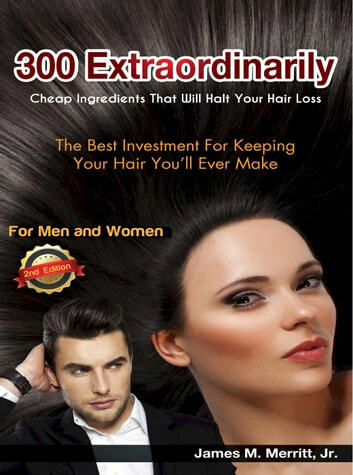 With 300 Extraordinarily Cheap Ingredients That Will Halt Your Hair Loss we’ve devoted our full efforts to investigating the most affordable methods for halting female and male thinning hair. What our research has yielded is an astounding arsenal of inexpensive ingredients that stimulate hair growth and prevent hair loss, which has a root cause in excess DHT. Amazingly many of these seldom publicized solutions for battling DHT cost less than five dollars. They’re not miracle treatments or remedies but without question they are some of the most inexpensive formulas that men and women can utilize for attacking their thinning hair problems. Undeniably these are some of the best natural hair loss solutions available compared to the limited options most doctors will recommend to you. So if you would like to find out more we welcome your business. It’s the first step in revitalizing your hair follicles to fight male and female pattern baldness, a receding hairline, and alopecia. We've probably helped more people deal with their hair loss problems inexpensively than any other resource on the Internet. So before you consider any drastic solution for your hair loss or outrageously priced product you might just want to give us a try. 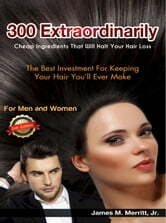 We'll guarantee this is the only hair loss book you'll ever need with our continuous updating.